There is a “Fundamental Transformation” occurring in education today. Some will say it is 21st Century Learning. The truth is, there is nothing 21st Century about it. It is the same battle that has been fought in the past and pushed back by American PARENTS and Teachers!! Why, because parents and teachers understood just how harmful this is to children our families and our nation. The “SHIFT” in education is changing from a transmission of knowledge, that parents still expect from our schools to an emphasis on altering the students world-views, their values, attitudes, beliefs, and behaviors. When education is focused on how students perceive the world, that is known as Critical Theory or Cultural Marxism. It is clearly seen in the College Board’s SAT and AP (Advanced Placement) assessments and conceptual frameworks which can be described as “Transdisiplinary” in their purpose. Transdisiplinary is when the function of the subject matter, concept themes in the syllabus, and course frameworks are all used to guide how a student views the world. The technical term most commonly used is lenses. Effectively these lenses become the values, attitudes, and beliefs the students are to be taking away from the curriculum. It is about equalizing the American Economy in the world. You are no longer that boy from Texas who played baseball and was a Boy Scout. You are no longer a proud Texan, an American, who lives in a global economy. You are now a global citizen who happens to live in America. Not an Individual and Not an AMERICAN. Nationalism is destroyed. Globalism is in place. • Shifts Education Philosophy– from an education of Opportunity (Equal Opportunity) based on academics; reading, writing, math, and history to an education of equity (Equal Outcomes) based on attitudes, values, beliefs and behaviors. • Broadened Impact – The Common Core National Standards expand the target from K-12 (Kindergarten through 12th grade) to a P-20W (Pre-school through College, Trade or Graduate School) system. 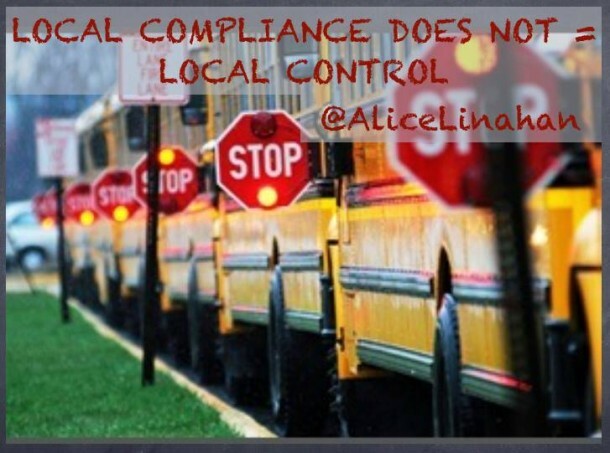 • Testing Based Outcomes- The Common Core National Standards shifts from the “Mental” (Academics and Knowledge-Based Tests) to “Behaviors” (Performance Standards and Competency for the workforce). • Adjustments to Ideology– Change American’s worldview from nationalism into globalism and allows for a government controlled economy known as ”Dirigisme” or the more common use–a dirigiste economy. It means essentially a state-directed economy. • Dismantle traditional public schools– in favor of charter-like structures (public/private partnerships) that will be forced to generate student data for global corporate profit and state control. 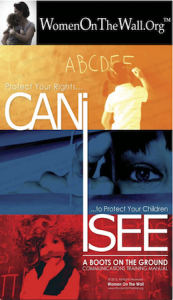 Parents must ask… CAN I SEE? • Can I See WHAT DATA is being collected on my child? • Can I See HOW my child’s DATA is being used? • Can I See WHO is financially benefitting from the DATA collected on my child? There were three major actions under the Obama administration, without legislative approval, to change two hundred years of traditional public education in the United States. (1) The Common Core copyright, which created a national curriculum and national testing mandating that individual students meet individual standards (similar to the Obamacare individual mandate). (2) Unlocking data ‘to flow’ through the Family Education Rights in Privacy Act, FERPA, which allows personally identifiable information on our children to flow to outside 3rd party contractors for research and curriculum development to match Common Core. (3) No Child Left Behind Flexibility Waiver, (ESEA, Elementary and Secondary Education Act), that is re-training teachers to teach to Common Core. ESEA was reauthorized in Dec. 2015 and renamed (Every Student Succeeds Act (ESSA). Standards were rebranded as College and Career Readiness. This also allowed ALL children in public school to be funded under Title I by changing the definition of who is poor or educationally deprived to anyone not meeting Common Core. With “choice” comes accountability through rules and regulations by unelected bureaucrats. * Google and Microsoft are Unesco Partners with deals to promote Unesco’s values through a World Curriculum. * The Organization for Economic Cooperation and Development (OECD) a World Policy Organization. 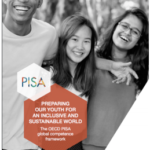 The OECD runs an Assessment system to support Unesco’s Sustainable Development Goals. The OECD’s assessment director, Andreas Schleicher, a German worked with the Obama Administration to reshape the US K-12 online assessment system. The OECD reshaped assessments so they run in the background of online curriculum. The OECD assessments are assessing behaviors more than academics. The UNESCO Institute for Statistics is producing globally-comparable education data for the monitoring and implementation of SDG 4 and the Education 2030 agenda. DATA is the TRILLION Dollar Global Commodity Public-Private Partnerships (P3)s also known as “Blended Funding”. Data is needed to finance Education reform and to control. Do you know about Pay For Success (PFS) schemes, also called Social Impact Bonds (SIB)s? President Obama’s Social Innovation Fund is administered by the Corporation for National and Community Service. President Obama went for it. He even established “the first-ever White House Office of Social Innovation.” Jared Kushner, President Trump’s son-in-law, now leads that office. Kushner’s plans? To remodel our workforce training programs….OUR public programs. We need TRUMP to STOP the FLOW of DATA! We need Help to Expose the true nature of Cultural Marxism! From an economic standpoint, which NO ONE IS COVERING, it is important for you to connect a dot to The Human Capital and Economic Opportunity Global Working Group (HCEO). It is run by James Heckman, Stephen Durlauf, and Robert Dugger. The HCEO operates out of the Center for the Economics of Human Development (CEHD) at the University of Chicago, and its fiscal sponsor is the Institute for New Economic Thinking (INET), an entity that emerged in the aftermath of the global financial crisis of 2008. INET funds research, grooms young economists, and convenes gatherings promoting the work of its 1,100+ experts. George Soros pledged $50 million from Open Society to create INET as a vehicle to explore “new thinking and new rules for the world economy. Heckman, Dugger, and Durlauf are all involved in the operations of INET. In February 2018, economist James Heckman held a working group of social scientists to discuss new types of assessments that are being designed to capture data about children’s social-emotional traits and predict and modify the future behaviors of students. James Heckman worked closely with Flávio Cunha who is now a Professor of Economics at Rice University in Texas. Together they wrote… “Estimating the Technology of Cognitive and Noncognitive Skill Formation,” a paper published in Econometrica that they wrote with Dr. Susanne M. Schennach. Please note, in the testimony above, it is Flávio Cunha, who wrote the white paper with Heckman, that is the so-called expert and invited guest from Rice University, who is testifying for the Math innovation SIB in Texas. “Behavioral economics is the study of how psychological, cognitive, emotional, social, and cultural factors influence the economic choices a person makes. It challenges the idea of homo economicus, that people maintain stable preferences and consistently make self-interested choices in relation to market forces. The field was popularized in the United States by Nobel-prize winning psychologist Daniel Kaheneman. University of Chicago economist Richard Thaler built upon this work. Thaler won a Nobel Prize in Economics for his research last year. QUESTION:Will the next generation of Americans actually have freedom and liberty? Basically, Predictive Analytics is using mined education data to create software programs that have the ability to predict and modify the behaviors of students across America. Your Voice Matters! SEEK - SHARE - STAND!